We are Pioneers in Kitchen Product Reviewing Since 15+ Years. 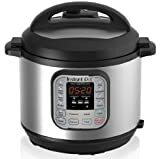 We started InstaPot Review site after using Instapot for more than 12 months. We have reviewed every product with deep tests and analysis.